Partly because it's very very pretty. 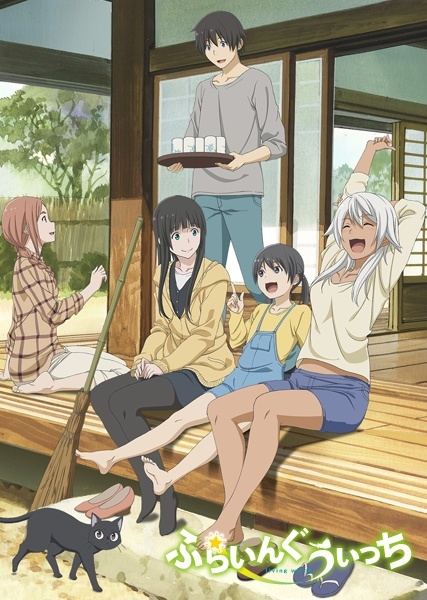 Flying Witch focuses on Makoto, a young witch-in-training who moves away from the big city to live with her cousins in the country whilst working on improving her magical skills. Apart from this, there’s no real plot to speak of – each episode either showcases a magical facet of Makoto’s life (like summoning crows or visiting a magical café), or a more mundane aspect (like picking wild herbs or cooking lessons). That being said, even the ordinary happenings of rural life are presented with as much wonder and excitement as the magic, so the show rarely feels slow or boring. Me in any foreign country. Aside from Makoto, the core cast consists of her older cousin Kei, her younger cousin Chinatsu, her sister Akane, and her black cat Chito. Each character is likeable in their own way, as Kei’s utter nonchalance to anything magical contrasts with Chinatsu’s excitement over the smallest thing, and Akane’s ‘party girl’ attitude is completely different from Makoto’s more responsible nature. 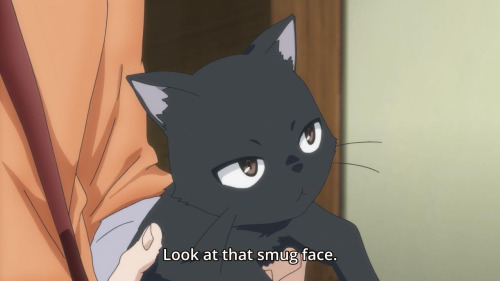 The interactions between the characters are fun and believable, and the dialogue is realistically written – the characters don’t feel one or two-dimensional, they feel like real people (except Chito, who feels like the most realistic anime depiction of a cat ever). The most cat-like cat ever. 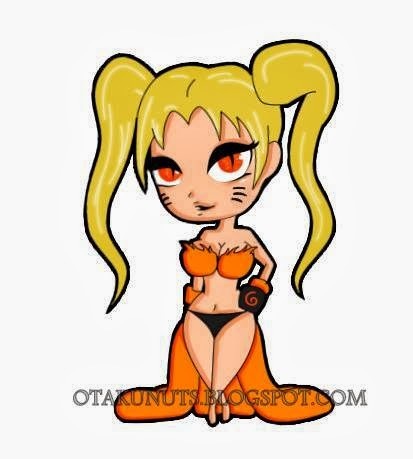 This extends to the secondary cast as well, despite their limited appearances. Makoto’s non-magical friend Nao helps to offer a more grounded perspective on the magical shenanigans, and she tends to get involved in the more everyday activities that the family gets up to. On the other hand, Inukai is a friend of Akane’s who, through a series of poor decisions, has a half-dog appearance during the day, and only looks fully human at night. Inukai’s appearances are always good for a few laughs, and my only problem with her character was that we didn’t see enough of her. You got drunk, ate some magic candies your friend gave you, and turned into a half-dog. It's happened to all of us. Regardless of whether an episode highlights magic or ordinary events, the animation handles it superbly. Flying Witch is a very pretty show, and the backgrounds and scenery are some of the nicest-looking I’ve seen in a long time. Even though there aren’t any action scenes, the character animations are still fluid, and the reaction faces of some cast members are especially memorable. This is most noticeable during the scene where Makoto first rides her broom – the moment has an almost Ghibli-like quality to it, and instances of this are fairly common in the show. Sure, being a witch is meant to be a secret, but who cares when you can fly? The music as well helps to enhance the soothing effect – the pieces are soft and memorable, without diverting too much attention away from the events of the show. Makoto’s theme in particular stands out as one of the most relaxing and notable pieces of music in the soundtrack. The opening and ending are much the same, as they’re both catchy and do a good job in putting you in the right mood to watch the show. Even the magic in Flying Witch is more relaxed and low-key than you might expect. In fact, when compared to magic in shows like Fairy Tail, Fate/Stay Night or A Certain Magical Index, it doesn’t even really seem like magic at all. There’s no flashy explosions or epic incantations, most magical aspects of the show seem more akin to folk remedies or the like. Most of it is done with drawings on paper or burning candles, and it helps to add to the calming nature of the show. In fact, Flying Witch is in part about how, whilst the magic may seem mundane, there’s just as much excitement and wonder to be had in everyday activities. Of course, everyday activities don't usually end with crows landing on your head. Despite the show mainly being a slice-of-life, it still has more than its fair share of funny moments. There’s nothing approaching ‘uproarious laughter’ levels, but each episode had at least one moment that made me smile. The aforementioned reaction faces and dialogue makes for some genuinely funny moments, but there are also times when an entire segment of an episode is simply a set-up to a joke at the end. On the odd occasion, this doesn’t really work – whether it’s due to the set-up being too long, or the joke not being funny enough – but more often than not Flying Witch was able to get a chuckle out of me. Aww, Chito made a friend! Flying Witch will not be for everyone. The lack of action and any meaningful plot progression will no doubt put some people off, and I can understand why. But if you’re in the mood for a slice-of-life show that’s a little bit different, then look no further. The show balances the magical with the everyday incredibly well, and it’s the only anime I’ve seen that can switch from flying sky-whales in one scene to a two-minute lecture on the history of pancakes in the next. I watched this series as it was airing, and for 20 minutes each week I was able to relax and forget all my worries (and given how my last few months have been, that’s saying something). It’s basically the anime equivalent of a nice mug of green tea. A visual representation of what it feels like watching Flying Witch. Good Things: A likeable cast of characters. A number of genuinely funny moments. Balances the mundane with the magical well. Relaxing and soothing without an overreliance on moe tropes. Bad Things: No overall plot progression and little character development. The secondary cast feels a little underused at times. Some jokes fall a bit flat. That's because she knows she's one of the best characters. 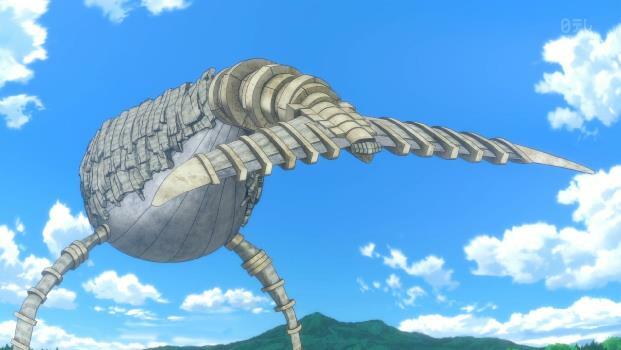 Ladies and gentlemen, I present to you: A flying sky whale covered in rocks with the ruins of an ancient civilisation on its back. You're welcome. ClayDragon is currently studying Physics at university, and is constantly bewildered by it. The main method of contacting him is his Gmail account at claydragon.on@gmail.com. He has an ask.fm account at ask.fm/ClayDragon. When not playing games or reading, he can be found with his head in his hands whilst trying in vain to figure out what to do with his life. HE HAS RETURNED. Thanks for an excellent review, ClayDragon. Flying Witch was one of my favourite shows this spring season! You summed up the appeal very succintly. Kumamiko and Tanaka-kun is Always Listless also had very relaxed atmospheres (although neither were quite as laidback as Flying Witch). Did you catch them, by any chance? 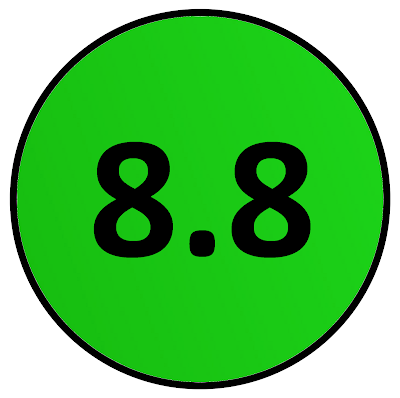 Thanks for reading it! There was something very therapeutic about Flying Witch, it's one of a few shows that can make me smile no matter what. I didn't see either of them, I'm afraid, although I heard that Kumamiko had quite a controversial ending. Were they any good? Neither were groundbreaking, but I found them pretty satisfying. Now that I think about it, though, Kumamiko didn't really have much in common with Flying Witch besides the Aomori setting. Whoops! I'm not 100% informed about the controversy of the Kumamiko ending, but it followed the manga faithfully right up until the final two episodes, where it used a chapter from the manga as the basis for an episode, but went in a completely different direction (the manga is still ongoing, so they didn't have a ready-made ending to use). It's debatable how successful it was at capping off the series (I'd have to watch it again to judge), but it did follow up on the themes of social anxiety and offputting co-dependance that pervaded the canonical episodes. So... I don't know, really. I think the problem some people had with Kumamiko's ending was that the series was building up the main girl's desire to leave the country and go to the city, only for the other characters to pretty much ignore the fact that she underwent some trauma when she reached the city and celebrate her decision to stay in the country, regardless of the manner in which she reached that decision. As I said, I haven't actually seen the show, so I could be spouting nonsense for all I know. This is just what I've heard from other people who have watched it.